The actual package for the GOTY edition will, apparently, only contain the game disc and codes that can be redeemed for the major add-ons - Jaws of Hakkon, The Descent, and Trespasser - as well as some additional goodies that were previously only found in the Deluxe edition of the game or in special item packs. While this method isn't too different than the way pre-order DLC has been handled, it is odd that it should be how a GOTY edition is packaged. In years past, usually, the GOTY version of a title included all of that content on the disc(s), with maybe a patch or two to download the first time it's fired up. The reasons behind EA doing this aren't exactly clear. It could be that the content was too large to make it all fit on one disc, which would mean a second disc would have to be printed and packaged, or it could be that they're trying to cut down on the used game market. Regardless, it does mean that anyone looking to pick up this version will need a reliable Internet connection and some time to kill while all of the content is downloaded. 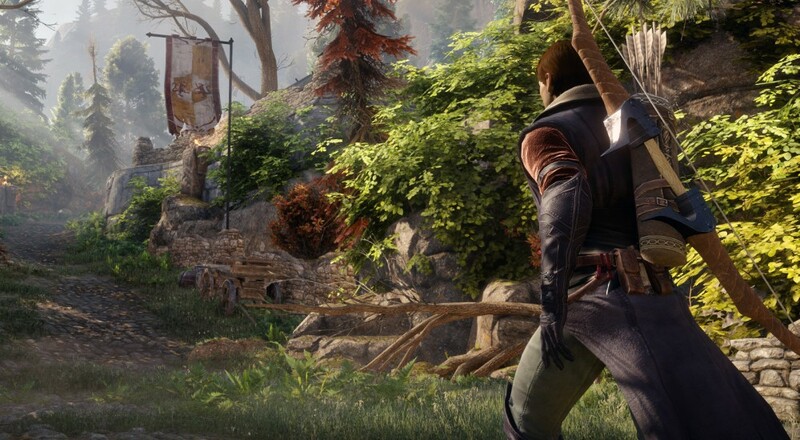 The Dragon Age: Inquisition GOTY edition arrives next week on October 6.